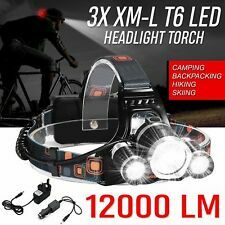 7 LED Headlamp Head Torch Battery Bicycle Lamp Hiking Mountaineering Flashlight Hikers, campers, trail runners and even the casual backpackers need a hands-free source of light on their trips. 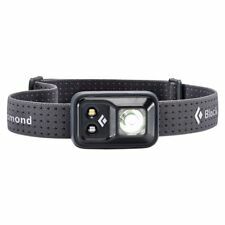 Our headlamp torch provides you with high-intensity LED lights that are sure to come in handy when the night approaches. 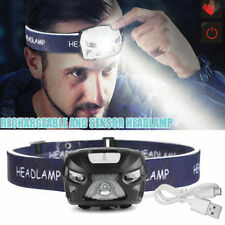 It’s incredibly easy and comfortable to wear with the head lamp’s adjustable straps that could fit in even larger head sizes. These LED lights are highly power efficient and feature a rugged, weatherproof build that will not let you down no matter the climate! 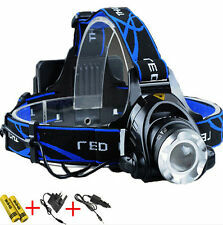 BRIGHT AND EFFICIENT LED LIGHTS: Our headlamp torch is equipped with 7 super bright and energy efficient LED bulbs. LED lights produce a strong, consistent beam of light while consuming less battery power. 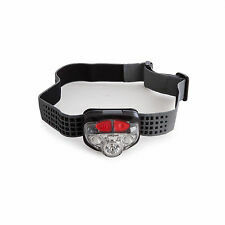 ENERGISER VISION HD FOCUS HEADLIGHT. 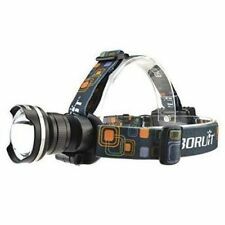 Light modes: white spot, while flood and red for night vision. WITH FREE 3 x AAA Batteries. Battery powered: 3 x AAA batteries. 3 x AAA Alkaline batteries included. 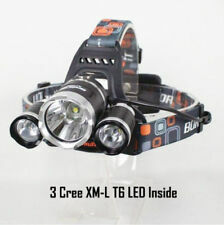 Product Description: Output bright can come to max 1800 lumens. Super bright. Perfect for camping, reading, hunting, fishing, hiking, auto emergencies, and home repair. Product Features: . 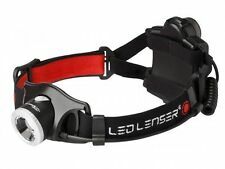 ENERGISER VISION HEADLIGHT. WITH FREE 3 x AAA Batteries. 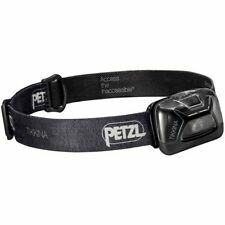 3 x AAA Alkaline batteries included - New and improved Up to 25% brighter. 2 white LEDs - High & low power light modes. On/off slide switch - Adjustable elastic headband. Schalter: 1x xm-l t6 / 2x xm-l t6 / 3x xm-l t6 / blinken. xm-l t6 scheinwerfer modell led: 3x xm-l t6. Here are our warehouse info. Otherwise, we will reserve the right to relist the item and the unpaid item report will be made correspondingly. Led - typ: q5 führte. Power by: 3 AAA(not included). Otherwise, we will reserve the right to relist the item and the unpaid item report will be made correspondingly. Features: √ Fit for camping, hiking, cycling, climbing and other outdoor activity. 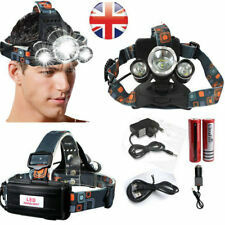 √ Max 6000 lm output,lifespan of 100,000 hours. √ Internal wiring applies the high efficient booster circuit, working voltage is wide and can utilize the batteries in thelargest extent. √ Elastic headband its easily adjustable, owear it on many kind of hats, like baseball cap, construction hardhat or some motorcycle or cycling hamlets.